Plumbing and HVAC emergencies demand an instant response. We're here for you any time, day or night. Need service now? We're here 24/7. Burst pipes, leaky gas lines, and overflowing toilets can happen at any time and cause significant damage. Call us for an emergency response backed by our Exceptional Service Guarantee. Air conditioning isn't a luxury—it can be critical to your health and comfort, especially in hot or cold climates. 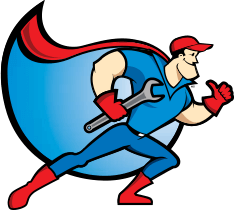 Your local ARS®/Rescue Rooter® HVAC specialist can address your heating or cooling emergency quickly. When the unexpected happens, we'll respond to your emergency quickly. In the meantime, there are steps you can take right away to mitigate damage and secure the affected area. Check out all the great ways you can save on ARS ®/Rescue Rooter® services in your area.